My kids always had problems knowing when to sleep, and when to get up. Now my granddaughter is having the same problem. I recently came across a cool product that helps little ones know when it’s time to sleep and wake up. The Big Red Rooster Sleep Training Alarm Clock is so cute. It will help you if your little ones won’t stay in bed! 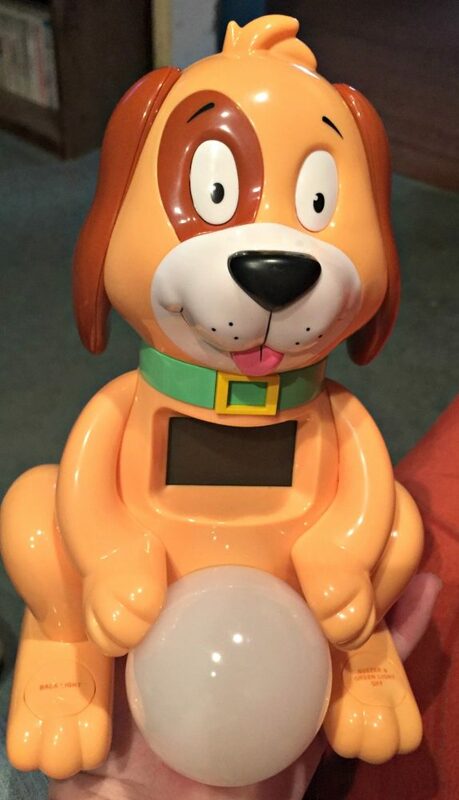 Your kids will love the cute little dog. He is in a sitting position with a ball in his lap. The ball turns colors, and those colors have certain meanings. When the ball is red, it is time to stay in bed. When it is green, it is ok to get up and start the day. I think this is such a great idea, and I wish they would have had this when my kids were young. The alarm clock is for kids ages 2 through 7. There is even a snooze button on the dog’s foot. I’m not sure if I would want the kids to know that, but I understand why they put it there. There are two different alarms that you can set, and there is even a timer for napping. This is a nice way to teach your child when it is appropriate to stay and get out of bed. It can even help parents get a little more sleep, which is what we all need! It is unbelievable how much sleep we parents lose when we have kids. We all know how sleep deprivation can mess with our mental state. It even makes us more irritable. Why not at least try something that might help? Once you teach the kids how to “read” the clock, it will help you get more sleep. 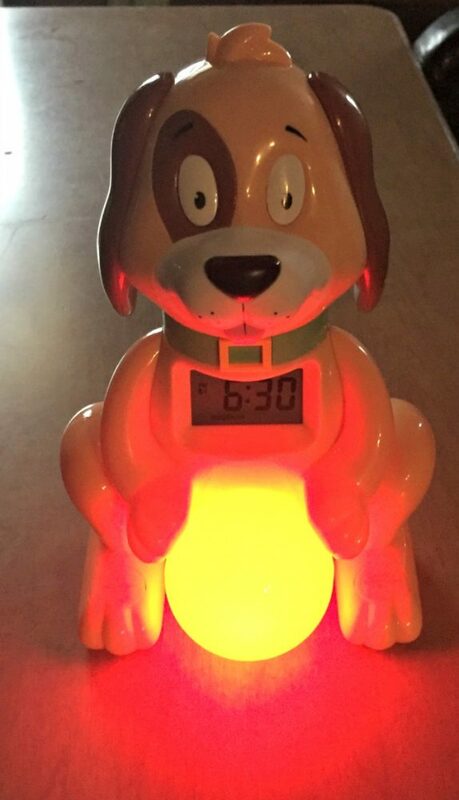 So, obviously, the ball on the dog’s lap will glow red at night so that children will know it is time to stay in their beds. 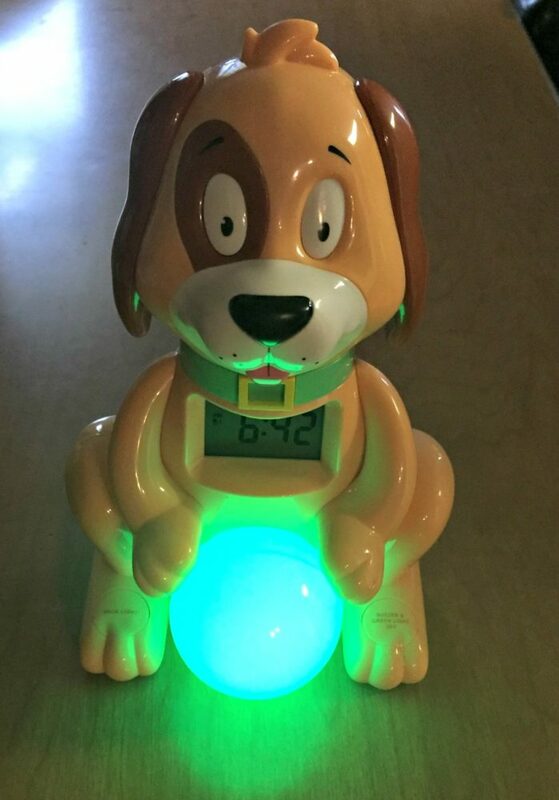 When the alarm goes off, the ball will turn green, indicating to the child that it is time to get up. Pretty easy huh? One of my favorite things about this product is the hidden parent compartment. Children cannot change the settings or turn off the alarm early. I can’t wait to give this to my daughter. 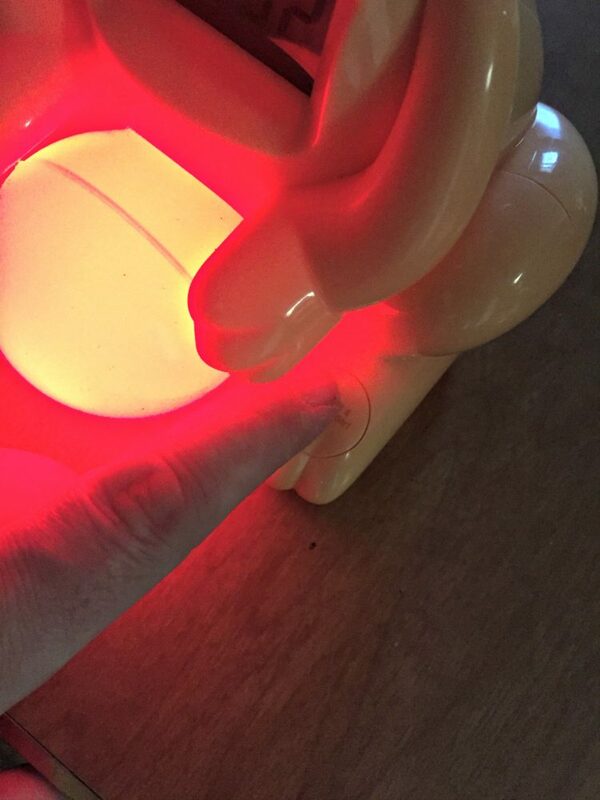 My granddaughter will love having this puppy in her room. You can find this product on Amazon, or click on the link above.